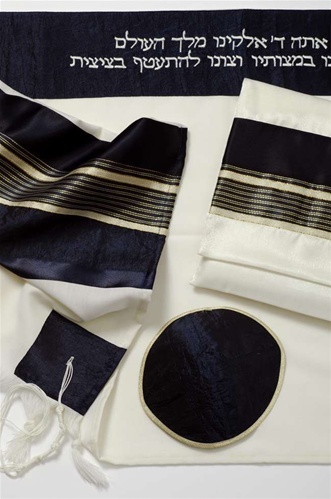 This is a handmade, soft wool, Galilee Silk Talit, size 20x72, and is ideal for a young boy for a bar mitzvah. The talit has a cream base and is accented with combinations of dark navy blue and gold striping. It comes with a bag and a kipah.